The DDJ-400 is the ideal piece of kit for first-time DJs. Its controls enable you to easily learn the basics, plus it’s packed with features that will help you develop your skills. The controller is compatible with the new Tutorial feature in rekordbox dj, which explains basic equipment operation step by step. Even if you’ve never ventured behind the decks before, you can learn how to DJ. The buttons and knobs on the DDJ-400 are arranged in the same way as those on our club-standard CDJ-2000NXS2 and DJM-900NXS2 set-up. Get familiar with jog wheels, play/pause and cue buttons, tempo sliders, a loop section and cue/loop call buttons just like the ones on the CDJ-2000NXS2. Use the trim and EQ knobs, and the headphone cue buttons, in exactly the same way as those on the DJM-900NXS2. HIDDEN FEATURE ON THE PIONEER DDJ-400!! 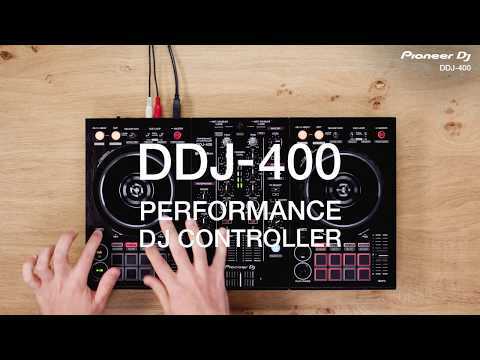 Considering purchasing the Pioneer DDJ-400? Have questions? Ask people who've recently bought one. Can I use Virtual dj software with this controller? If so how easy is it to set up yo use it? yes.just plug it in a go! Do you own the Pioneer DDJ-400? Why not write a review based on your experience with it. Great product and fun to use. Light and compact but I'm not 100 % happy with the pitch control. Not as accurate as I expected. Everything the aspiring DJ needs to make a start if you want to get that party rocking or just put a few mixes together for your mates. DJkit were professional, polite, prompt and efficient. Well earned 5 stars. Excellent product and great customer service! Great customer service and very thorough from order through to delivery. Would definitely buy from these guys again.. Ordered at 2pm and had these delivered by 12pm the next day no issue. The product was as described and is exactly what I wanted. Will be using DJkit for any future needs! Best controller for the price! Got everything I needed. Great set of decks from Pioneer. Perfect service from DJ Kit. My order came first class. Absolutely no nonsense. Cheaper than Amazon as well. Will definitely be using the site again. Great value for money! The brand the quality.the whole package and five star service as well! I used to DJ with Numark CD decks before selling the rig and hadn't used a DJ controller before. Wow, it has moved on so much! You can do so much so easy. This is a fantastic bit of kit for beginners, bedroom DJs or as a backup for gigs. The build quality is excellent for the price. The only thing I would change is more resistance on the crossfader. Hours of fun and very easy to learn both the controller and software. Fast delivery, great service, great product, will buy again from djkit.com! Bought it for my son to learn to DJ but can see myself stealing it from time to time to play with it myself. Great option if you've got an all digital collection and only need the two channels. Great piece of kit for anybody wanting to get in to dj'ing. I'm an old school vinyl dj and I wanted my first controller and this think is absolutely brilliant for the price!!!! Everything a beginner DJ could ask for.. excellent. Absolutely brilliant fast delivery service and product exactly as described. Have only ever mixed on vinyl in the past. Now I've got my head around the software and effects this is a really great piece of kit. Can't recommend it enough. Absolutely brilliant, come real quick, took ME a whilr to set up but once done, havenâ€™t stopped using it! Everything you need to smash a set up. Got this controller to tide me over until I can afford cdjs and I'm very impressed. The build quality is as you would expect from pioneer and it has a surprising amount of features for the cost. I would recommend it to anyone. The perfect entry level controller, more powerful than its price would have you believe. Bought for my boy to hook into my equipment for an easy access into playing records...very pleased with simple set up, have realised I could quite easily play out on it....might start to borrow it! Great Xmas present and very easy to use. Great service from supplier and received extremely quickly given it was close to Xmas. My son loves this desk. Still learning to use it but has kept him busy and he loves it. Fantastic product, great piece of kit for my daughter for her DJing, plus an excellent delivery service. Whilst the DDJ-400 lacks the total feature set of the DDJ-1000 and XDJ-RR, its still a great controller. Unlike the XDJ-RR, it can only be used with a laptop or desktop PC, as it doesn't have USB inputs. You can't run a set of turntables or other line inputs into it either. So, if this doesn't matter to you, get one and enjoy! Amazing kit for an entry level controller, I feel almost mean to consider it "entry level" . Button layout closely mimics CDJs, jogwheel feels sturdy and built well. Nice finish overall on the top of the controller. Quality exceeds the price and Pioneer have done it once again. So far so good, comes with a full license key for Rekordbox. Anyone looking to get into mixing as a hobby or more consider this model! Mine also came with a free flight case as part of the deal. Lifesavers! I purchased this item for my boyfriends birthday. Delivery was fast, payment was easy and the product itself is brilliant. As a bedroom DJ, this is ideal! Has all the features you can want and more. Really good quality and the software is flawless. I was a bit disappointed when the bag didn't show up, but Jim at customer services reassured me and has sorted it all out and more. 10/10 on product 10/10 on customer service 0/10 on sleep because all I want to do is mix. I hate buying things online, however, know you have the full backing of the company with any problems that may occur. Brilliant, the only company I will use and recommend from here on out. Iâ€™ve recently got back into DJâ€™ing after having 1210â€™s and vinyl in the 90â€™s, this controller is an amazing bit of kit, comes with great tutorials on how to set up and use rekordbox as well, Iâ€™ve only really scratched the surface of what itâ€™s capable of, so Iâ€™m looking forward to seeing what else it can do, awesome communication and service from DJ kit also! Just get it - it's brilliant!!! I used to own a pair of CDJ1000's before kids and always had intentions of getting a decent set of CDJ's once again when able to ... I've been looking at the various XDJ's for ages thinking they were the way to go as they replicated my old 1000's (the RB and SB3 didn't feel similar enough). Then the DDJ400 popped up - the price is amazing completed to the XDJ's and I liked the look. I was hesitant about going all digital initially but - WOW...this controller is awesome!! I've had this a few weeks now and am loving it. The controller is solid and feels great to use. Everything clicks and sounds as it should on Pioneer gear. Rokordbox is amazing - the things it can do are pretty mind-blowing compared to beat-matching back in the day. 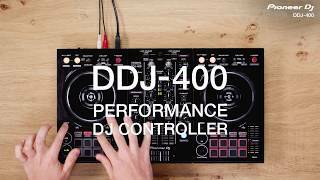 I am so happy that I went DDJ400 as it is brilliant!! The DDJ400 has given me a great return to mixing and it's opened up a whole new experience with the various fx etc. via Rekordbox. It's brilliant - really good fun!! Fully recommend!! Pioneer have done a great job with this. It's compact, smart and feature packed. It's also a joy to use. Coupled with the fact you get a full version of Rekordbox, and this becomes a fantastic buy at just £250. Great for bedroom dj'ing, but I see no reason why it couldn't be used for small venues likes pubs or small halls. Great service from DJ kit. Delivered next day as promised with an hour slot texted to me by DPD in the morning so I didn't have to wait in all day. Brilliant all round. Having previously had the DDJ Ergo I am happy with the move over to the DDJ-400. Rekordbox is so clever and letâ€™s amateur DJs jump aboard the mixing ship. The effect pads are different class and my only criticism is the size of them. Still coming to terms with the jog wheel sensitivity and the FX selection functions but time will tell on these. Bought this as my first kit as I love music and wanted to get into playing some in my free time using the DDJ. Went for this based on reviews and Iâ€™m really pleased with my purchase. It is very easy to set up/use, but has all the functions and seems to replicate the more expensive versions for a smaller price tag. Very solid. Lots of fun to use and can even take a normal headphone jack which is a bonus! For the money. A fantastic bit of kit. Functional and lightweight. Wouldn't use for gigs personally as I think it's more of a home bit of kit. 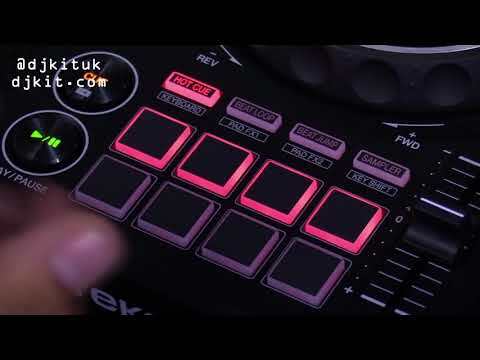 If you've used Cdjs or the bigger Ddjs then the controls will feel much lighter so you have to adjust slightly. Cannot fault otherwise. Would throughly recommend! This is perfect for someone who wants the feel of Pioneer CDJs and a DJM mixer at home. 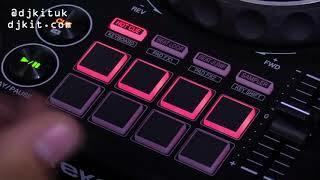 I previously had the traktor kontrol s8 and have had way more fun with this at a third of the price. Whether youâ€™re just starting out or a seasoned professional, this compact controller is a great choice. For me, Iâ€™m out and about a lot and needed a second controller to keep with me - something that was small, lightweight and packed all of the features Rekordbox offered, so this being USB powered means I only need to plug it into my laptop and Iâ€™m off - no hunting round for sockets. Plus if I want to hook it up to a sound system, itâ€™s a simple RCA cable into an amp/ spare channel on a mixer and again, Iâ€™m ready to go. If youâ€™re wanting loads of extra buttons and knobs or extra channels, there are plenty of other (more expensive) controllers out there for you, but if youâ€™re looking for a tidy little unit that will get you up-and-running in seconds and still give you the ability to get creative with your mixes, this is for you. Used for bedroom and small venues where I donâ€™t carry my flight case. Awesome piece of kit. I bought it to teach the missus, and she loves it. Bought this as my first controller and can't fault it one bit. Ideal for someone like me just starting to learn the basics. Perfect for learning the basics and come with a Rekordbox license too! This is a great controller for anyone learning to DJ, would highly recommend. Easy to set up, quick delivery, good price. 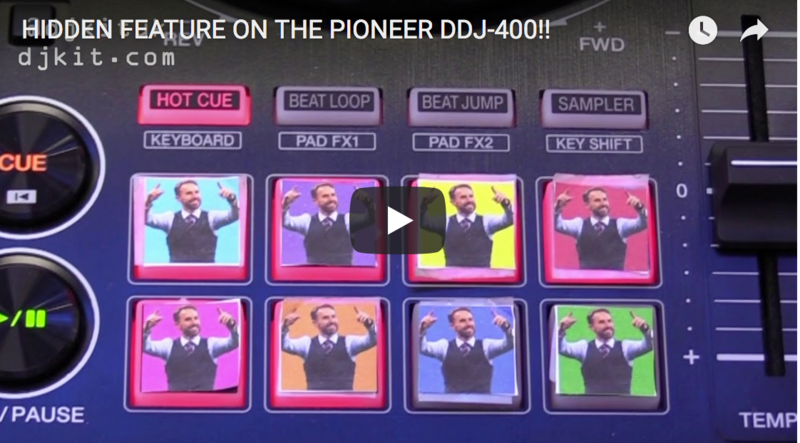 Seen a video for Pioneer DDJ-400 online or have you own video? You will earn 498 loyalty points with this product worth £1.25, when logged in. Check out Pioneer DDJ-400 on DJkit.com!